Dr. Robert Ball, MD is a Doctor primarily located in Mc Lean, VA, with other offices in Fairfax, VA and Fairfax, VA (and 1 other location). He has 31 years of experience. His specialties include Urology. Dr. Ball is affiliated with Inova Fairfax Hospital, Reston Hospital Center and Inova Fair Oaks Hospital. He speaks English. Dr. Ball has received 3 awards. The overall average patient rating of Dr. Robert Ball is Great. Dr. Robert Ball has been rated by 20 patients. From those 20 patients 7 of those left a comment along with their rating. The overall rating for Dr. Robert Ball is 4.3 of 5.0 stars. This is Dr. Ball, the urologist from Fairfax, VA. I am demanding that the review and comment of a “Jim Pike” of Maryland be withdrawn as: 1) I have never seen this patient nor 2) have I ever in my 30 years in medicine delayed the transmission of lab results as noted. There are other Dr Robert Balls much closer to Jim Pyke who he likely saw as a patient. I demand his review be removed as it is unequivocally fallacious. Dr. Ball was very good at listening, validating, diagnosing. He brought sense into my situation that no one else had been able to do. He's been one of the most helpful doctors I've ever seen. He was highly recommended to us and I can very highly recommend him to others. Waiting 2 weeks for the Dr to call with abnormal lab results is unacceptable. I went to Dr. Ball for a second opinion after I had been diagnosed with Kidney Cancer and had gone thru 6 weeks of getting clearance for my cardiologist and pulmonologist, then my original doctor reversed his diagnosis and said what they had seen on the CT scan was just a cyst. Being a cancer and heart attack survivor, I know things are rarely that spontaneous. Doctor Ball reviewed all my labs and scans and confirmed that it was just a cyst. But he took the time to thoroughly explain how he could tell the difference. I did a lot of research and got the opinions of several other medical professionals before selecting Dr. Ball. He is now one my doctors on a permanent basis. Cannot say enough good things about him. Dr. Ball is kind, compassionate and treated me like a friend. He is the kind of physician one rarely finds now adays. Dr. Ball is affiliated (can practice and admit patients) with the following hospital(s). We are sorry, it looks like we don't have insurance information. Please call Dr. Robert Ball's office for more information. 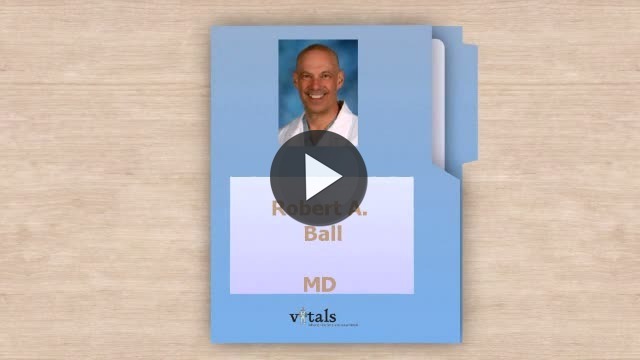 Take a minute to learn about Dr. Robert Ball, MD - Urology in Mc Lean, VA, in this video. Dr. Robert Ball is similar to the following 4 Doctors near Mc Lean, VA.
Dr. Robert Ball Is this you? Have you had a recent visit with Dr. Robert Ball? Select a star to let us know how it was.